Human-less Operations: Can they, should they, work in Africa? In a recent meeting, I was asked to extemporise on the topic of “Human-less Operations” with the underlying theme being how various subsets of Artificial Intelligence (AI) will enable us to hyper-automate business processes and thus remove much of the work currently performed by humans from the equation. Now, this is an interesting, if not provocative, standpoint when you live on the continent where homo sapiens first emerged and less than fifty kilometres away from the Cradle of Humankind. Why would we want to take humans out of the equation with AI? At first blush this approach makes sense; for as long as capitalism holds as the most successful organising principle for economic activity, managers should be pursuing any avenue that enables them to improve productivity and generate a better return on resources/investment. However, in this regard, it is worth noting that, world-wide, productivity growth rates have been declining for the last three decades, despite the trillions of dollars that have been invested in technologies. This trend has accelerated since the recent financial crisis. Economists struggle to explain why this is happening, but one theory is that investments in IT over the last thirty years or so, have not been truly innovative enough to create significant productivity growth rates. Per the Organisation for Economic Co-operation and Development (OECD), the USA productivity growth rate has been flat for the last decade. In South Africa, the OECD statistics show that productivity growth averaged 2.68% between 2001 and 2007, but subsequently declined to 1.19% between 2009 and 2014. Given that productivity growth rates hold the key to economic growth and an improved standard of living, these are worrying trends – especially in Africa with its burgeoning population. If, as some economists believe, the reason for diminishing productivity is a lack of innovation in technologies, then today’s Artificial Intelligence may represent exactly the breakthrough we have been waiting for to drive a step-change in productivity. Even though AI has been around since the mid-1950s, it is only now that we have the combinatorial effects of Big Data coming from IoT and social networks, cheaper storage of that data, affordable Super-computing with modern GPUs and improvements in Algorithms, that AI is ready to take centre stage. It is no exaggeration to say that Artificial Intelligence, in its various guises, may be the saving grace of information technology-driven productivity goals, by giving organisations capabilities that truly transcend the marginal improvements delivered by current approaches to automation. We can already see this AI-driven future adumbrated in settings that range from the pathology laboratory to high-speed trading on exchanges, to production lines, to agriculture and to autonomous vehicles and beyond. But, living and working in Africa, it will be important to take a nuanced approach to this. Touting “Human-less Operations” in a country like South Africa (Africa’s largest and most industrialised economy) where official unemployment is 27.7% (which rises to 36.4% when one includes those who want to work but no longer look for work) will require both empathy and pragmatism. Those 9.3 million South Africans and their unions are hardly likely to give a warm reception to technologies that do away with work. In some cases, it will still be economically viable and socially desirable to employ people to carry out tasks rather than building data centres and algorithms – given the added benefits of the dignity of employment and the social good that comes from this. Nor does the “Human-less” approach take cognisance of the cultural differences between the “West” (from whence much of the technology and hype emanates) and Africa. Western cultures and societies are largely rules and process based; giving primacy to conformance, performance and governance whereas African culture is much more relationships-based as exemplified in the African humanist philosophy known in South African as Ubuntu – “a person is a person through other persons” – whereby we are each taken to exist through and because of other people. This is not to say that notions of performance, good governance or accountability are any less important in Africa than elsewhere (in fact, given the scourges of corruption and poverty they are arguably more vital than ever across the continent) but that these notions are not necessarily the primary motivator for organisations to make investments in Information Technologies such as Artificial Intelligence. That said, there is also the reality of the fact that any African company exists within a globalised economy and thus needs to take the necessary steps to ensure it can be competitive and sustainable, otherwise, in the long run, nobody gets employed. 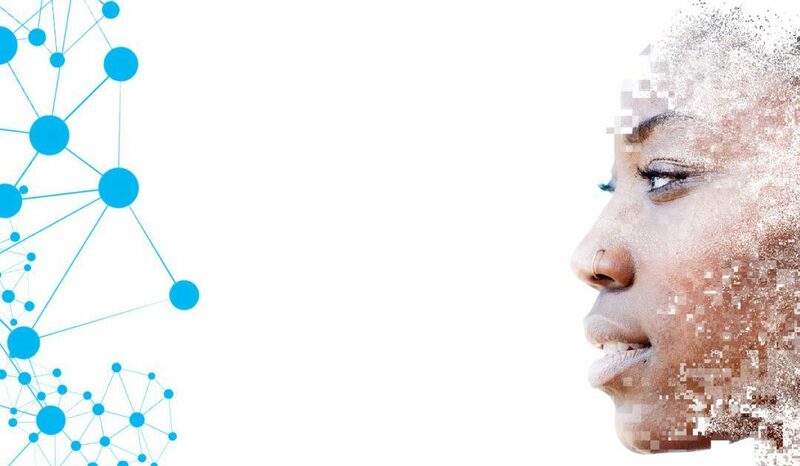 Failure to digitally enable the organisation or to leverage the power of AI in a relevant way means that value will not be created on the African continent – it will simply be captured by externally based industrialists and supply chains. So, it’s not that we should ignore AI in Africa, just that we should apply it with sensitivity and relevance. One of the first things we should look at is how to use technology to make work more engaging. It is a sad fact of life that, per organisations like Gallup, many employees (87% by Gallup’s research) are “disengaged” from their work; meaning that they are not enthusiastic about the job or committed to the success of their organizations. Even if the analysts are only half right this means a disturbingly large portion of the payroll is ineffective and this may also underpin the low levels of productivity growth referred to earlier. What’s going on to cause this widespread disengagement? Reflect on your own work experience and your current organisation and you quickly realise that much of the work we do (even if we have well implemented ERP, CRM and other systems) is repetitive, mundane and often downright soul-destroying and sometimes physically dangerous. The irony is that much of today’s work requires us to behave like automatons. No wonder people are disengaged. Now, with tools like Machine Learning and other flavours of AI, we can take the robot out of people and put it where it belongs – in the “machine”. By so doing we will be able to unleash human creativity, energy and passion to focus on those issues that will move our organisations forward and provide people with a working experience that feels more like living. And, when we talk about Human-less operations it is important to bear in mind that there are emerging scenarios, riding on the phenomenon of hyper-connectivity, where it is humanly impossible to parse the data to find the meaning. For example, expecting humans to track social media commentary or the streams of data being generated by the Internet of Things is wishful thinking – there is too much and it’s moving too fast and with too many variables for a human brain to process. So, these emerging fields are areas where AI can bring huge value to the equation. As an example; imagine you are in a corporate marketing department responsible for establishing the relative and absolute value of a televised sports sponsorship for which you have paid a large sum. How would you do that? In the old world, you would have to sit in front of a screen and try to figure out how often your logo appeared, how long it appeared for, how much of the screen real-estate it occupied, how often it was proximate to the player or the ball (so that you could determine if it was likely to be in the viewer’s field of view) and so on. And you’d have to do all of that for all the other brands that appeared during the game to determine the relative value of your sponsorship. This is an impossible task for an unassisted human and it is, therefore, exactly the kind of new, valuable business capability that “Human-less” AI can bring to a business to create fresh insights and support better decision making. Very clearly in a case like this there would be a profound, positive impact on productivity. The term “Human-less operations” may invoke a dystopian vision of the future wherein humans are side-lined in favour of machines (be they robots or algorithms). However, there is no doubt that with an empathic and imaginative approach we can turn these new technologies into valuable tools of human progress in much the same way we did with earlier technologies in the agricultural and industrial revolutions that have brought our species thus far. The time is ripe to put our fears aside and turn our efforts into using technology to create a more sustainable and engaging future for all of us.